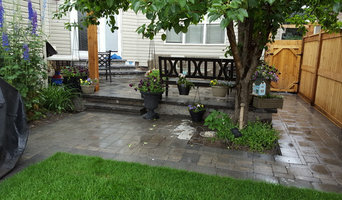 Founded in 2008, Blue Aspen Contracting is a Calgary based Landscape Construction company that strives for customer satisfaction and exceptional service. We offer full-service professional landscape design and installation to create the ultimate landscape for any yard. Our goal is to provide detailed, high quality work in addition to completing projects on time and on budget. 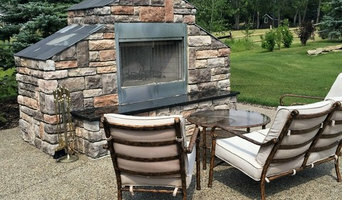 “Consider your outdoor living space as well as your indoor… after all, you did pay for both” Hardwall outdoor living has over 30-years worth of experience primarily in the landscaping industry, in and around the Calgary area. 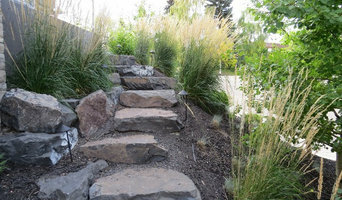 We provide our communities with many outdoor and landscaping services, both commercially and residentially, including bulk watering needs, retaining walls, engineered walls, culverts, rip-rap, cultured stone work, patios, journeymen landscaping, irrigation systems, water falls, ponds, bridges and pathways and much more. We are proudly and recognized by Interlocking Concrete Paving Institute (ICPI), Belgard, Techo-Pro, and most recently, Allan Block – Master installer, SECOR certified and a City of Calgary approved vendor. At Peter Hughes Landscape, our success is solely due to two factors: our dedicated and knowledgeable staff and our exceptional clients. Collaborating with our clients every step of the way to realize their vision – on every project, large or small – is our motivating factor and allows us to love what we do. From initial consultation to final inspection, we keep our client’s best interests top of mind. At the start of every project, our project foreman conducts a hazard assessment, followed by a thorough safety, management and protocol meeting with all on-site staff. At this point, all proper PPE will be assured and only then will work commence. The foreman works closely with our site crew to log all information required to keep the project moving and on track. Upon completion of the project, a comprehensive inspection is conducted by the foreman and only then is work deemed completed to our standards. Our clients are fully disclosed of all progress and procedures throughout the lifecycle of the project. A full client walk through is conducted at the project’s end and only when our clients are fully satisfied, does our crew move on from the job site. To ensure quality control, every one of our employees are extensively trained in lawn maintenance, and snow and ice management at the start of every season. On-going training is held throughout the year with a strong emphasis on health, safety and quality control. Similarly, we ensure our partners and sub-tradesman are held to the same standards of excellence and we stand accountable to their quality control. Natures Effects is a design-build landscape construction firm founded by Chris Bracken in 2010. Practicing in the realms of landscape construction and design for the past 20+ years (a Landscape Architect by trade), his passion for finer detail, construction and outdoor living spaces shifted his full-time focus from drawing and managing projects back to hands-on implementation from start to finish. Natural Landscapes is owned and operated by Doug and Laura Burgoyne and has operated since 1986 . Doug originally started the business as a lawn care business and then added yard and garden maintenance. Doug decided that he loved the creative aspect and landscape design so he went back to school and attended Olds College for three years to increase his technical skills. He became a journeyman landscaper and has been creating beautiful designs ever since. 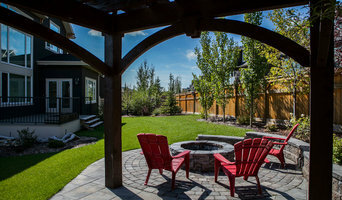 After 20 plus years, Natural Landscapes has become one of the most sought after Acreage, retreat, and residential landscape construction companies in Calgary and surrounding areas. Natural Landscapes is proud to create settings that reflect the beautiful nature that was given to us by our creator. At Water By Design we specialize in designing and building some of the most spectacular indoor and outdoor water features you’ll ever see. Enhance your outdoor space with a pond, waterfall, streambed or bubbler. We also use natural rock hardscapes to create incredible visuals for your yard including retaining walls, stairs and patios. Add sound, humidity and living art with an indoor water wall, rain curtain or natural water fall. Choose among slate or glass inserts that can be personalized with logos and art using laser etching and vinyl technology. Water By Design water features will add beauty and value to your home. 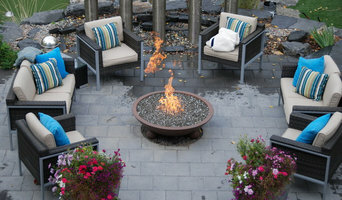 We can add an outdoor feature to a small yard or redo an entire acreage. We use our passion, expertise and creativity to design the water feature that is perfect for your yard. It will be designed and built using the absolute best materials and products available. Year Round Landscaping Inc is a family owned business with the management team made up of the owners. The strengths within our company are our commitment to excellence and our pride of workmanship. We continue to forge our reputation with a diverse skill set and plenty of knowledge in all aspects of our business. Our management team is well diversified and extremely capable of serving our clients with innovation and efficiency to stay with in budget and time restraints. At Year Round Landscaping our designers and architects actively work with the home owner to solve problems and provide solutions, while remaining sensitive to restrictions and guidelines. Our focus since the inception of our organization has always been to gain the trust of our clients through good project and budget management. We continually strive to present innovative and sustainable practices through design, construction methods and materials. The management team has had the pleasure of working with many long term employees. Many key personnel have been with Year Round Landscaping for 15 years or more. These people show exceptional workmanship in both skills and attitude. Almac Landscapes offers complete Landscape Construction, Design and Estimation services. Specializing in Decks, Fences, Retaining Walls, Patios, Walkways, Tile and Slate. What does a Redwood Meadows landscape contractor do? Landscaping contractors execute lawn, garden and hardscaping plans that have been drawn up by an architect or designer. They may also provide design services on their own. After the everything has been installed, landscape companies can make adjustments, maintain plantings, take care of weeds and pests, and perform other tasks to keep the scheme looking its best. A licensed Alberta landscaper should have detailed knowledge of Redwood Meadows, AB weather and climate trends and conditions, and can choose plants and materials that are well suited to the area. Residential landscape companies in Redwood Meadows, AB also handle many of the same general duties as builders, including arranging for construction permits, hiring subcontractors and making sure that designs comply with Alberta building codes. Find Redwood Meadows landscaping services on Houzz. Narrow your search in the Professionals section of the website to Redwood Meadows, AB landscape contractors. You may also look through photos of Alberta landscapes to find one you like, then contact the landscaping company in Redwood Meadows, AB who worked on it.